My name is Absaraka (after the village in North Dakota), and I'm a frequent visitor to this site and I want to share with you my method to ask your angels for rescue. When I was 12, I was living in Germany (West Germany, I should say) with my Dad, who was in the Army. There was this Boy Scout troop that was planning a cross-country skiing trip, so my folks insisted I go. Little did they know how my life would change as a result because I learned how to ask your angels for help...but I'm getting ahead of things. We came to this massive hill on our way back in to the town we had parked the bus in (the village was called Torfhaus, I'll never forget that) and I was too chicken to actually ski down that hill. I skied off to one side, where the hill wasn't as steep, figuring I could hit the trail by coming back around... but I got lost. I was, it turns out, about half a mile from the trail, but I couldn't see or hear any human movement. After calling for help (in German) until my voice was hoarse, I took one final look around, and still saw nothing. I sat down on my skis, leaned up against a tree, and prayed, in essence, "OK God, you've made your point. I'm going to freeze to death here, so please don't let it hurt too bad...". I then discoverd how to ask your angels for help. I must have been praying aloud, because someone asked me, in English, if I was lost. I don't mind admitting I was incoherent at this point, and I couldn't quite communicate with this man. But he told me that he would get me in to Torfhaus, so, not having anyplace else to go, I followed him. We spoke little on the way in to town, but I will remember his voice for the rest of my life. And, you want to know something really weird? Once we picked up the trail again, it was all marked nice as you please. I then discoverd how to ask your angels for help. Anyway, we got back in to Torfhaus, and he led me to an area right beside a small restaurant overlooking a valley. He pointed to a grove of trees at the bottom of the valley, and told me that my group would be coming out of the trees right there. I turned to thank him, and he was gone. Folks, I have no other explanation of what happened to me other than it was a run-in with a member of the heavenly host. 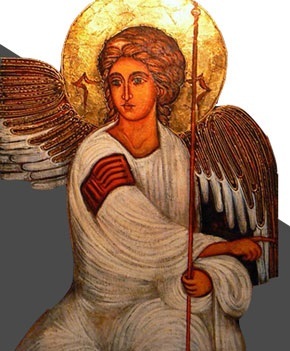 Somebody once told me that it might have been one of the archangels, but I don't think so. Anyway, for the past year I've been trying to find this being in the angelic realm and improve my method to ask your angels for help (that is, whenever I can get the courage to even Ground myself--anybody read Alma Daniel?) without success.